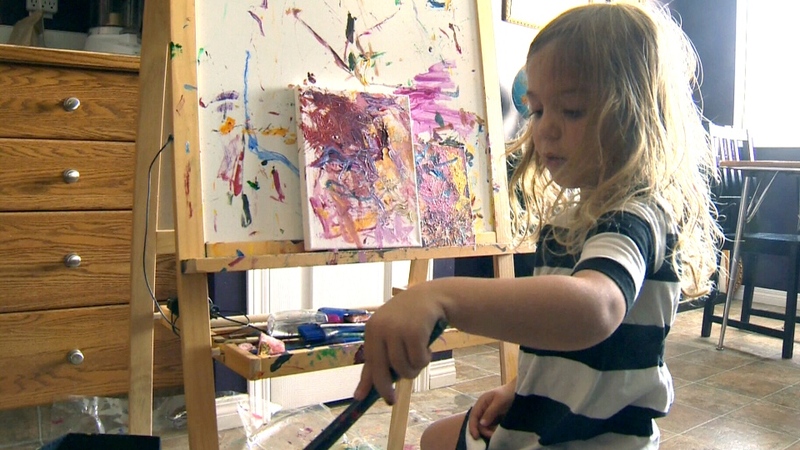 She may only be four years old, but Calgary artist Cosette Swart has already sold thousands of dollars' worth of her paintings for charity. It's quite the accomplishment, considering. "I just turned four in December," she explained to CTV Calgary, as she studiously applied white paint to her latest canvas. In total, Cosette has sold 60 paintings, raising more than $4,000 to help those in need through the non-profit organizations World Vision and Charity Water. 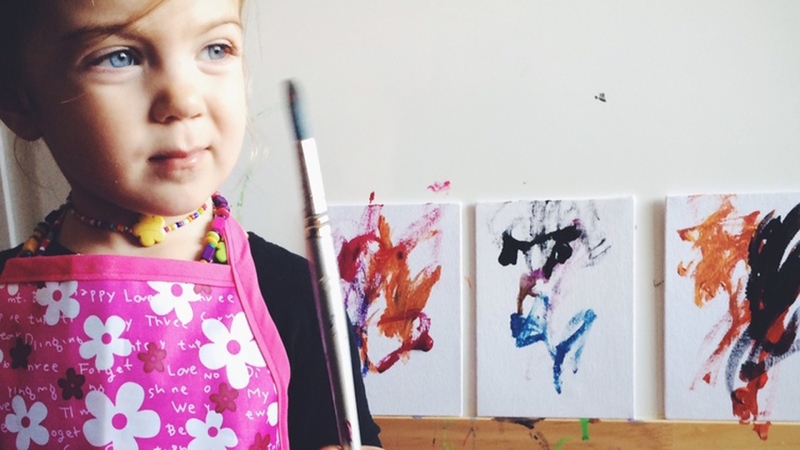 Her parents sell her artwork on a website, where they also explain her cause. "We often feel that we can't make a difference, that we don't have enough money, time or talent to make a real change," they write online. "Cosette isn't bothered by the fact that she can't change the whole world, instead she focuses on what she can do." Her mother, Kristy-Anne Swart, started Cosette painting after she dug out old acrylic paints that she used to use when she was younger. She said the money raised from the paintings has gone to buy valuable supplies for families in need all over the world. 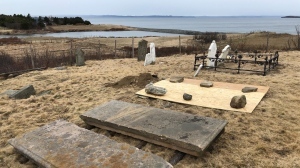 "We (raised) enough for a cow, a sheep, goats, chickens, pigs, hens, roosters, and even a tent shelter that we bought for them as well," she explained. And Cosette's paintings aren't just attracting buyers; they're attracting compliments as well. "I have some artist friends in the States who have compared her paintings with those of real, legitimate artists that are selling for thousands of dollars," Cosette's father, Darryl Swart said. In fact, the family has had a hard time keeping up with all the requests for Cosette's work, which come in from around the world. World Vision development officer Kent Smith said he's seen the results of Cosette's work firsthand. "I've been to Bolivia and I've seen the animals that were given by Canadians. It's unbelievable how these people have gone from having nothing to being able to survive," he said. 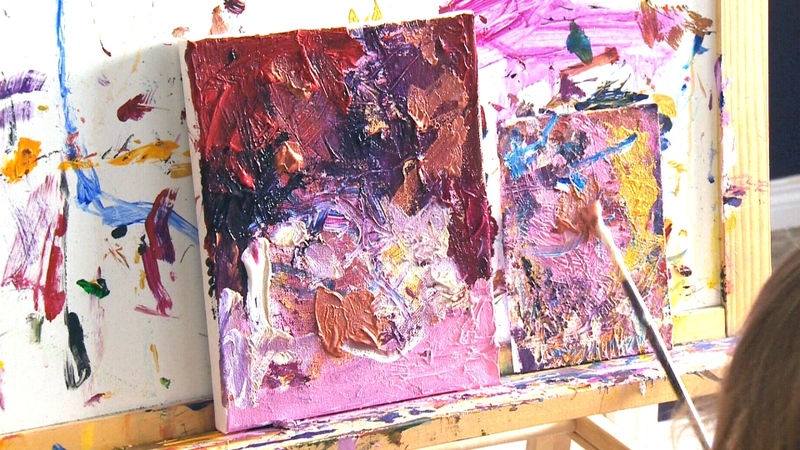 Cosette Swart sells her paintings to raise money for families in need all over the world.